The United States Constitution established a federal government that incorporated checks and balances to ensure that power was equally distributed and politicians worked on behalf of their constituents, not in their own personal interests. So what happens when stopping the “other side” becomes more important than making sure the government operates well? After four weeks, a dispute about the proposed budget for the 2019 fiscal year has become something much bigger that has begun affecting hundreds of thousands of individuals. Normally, Congress passes a budget by Sept. 30 for the following fiscal year. If the budget is not passed, Congress must enact a resolution to continue funding. If enough time passes before a resolution is enacted and a budget signed, the government must begin shutting down because there are no funds available to pay employees. After much debate, Congress agreed on a budget for the 2019 fiscal year, but when President Trump learned it did not include funds for a steel barrier wall at the U.S. border with Mexico, he said he would not sign it. Democratic congressional leaders have met with Trump, who remains adamant that he will not sign a budget unless it includes $5.7 billion for a steel barrier wall. On Dec. 22, 2018, the federal government began a partial shutdown, affecting such departments as the Justice Department, Department of Transportation, Homeland Security, Department of Agriculture, Treasury Department, the Environmental Protection Agency and others. More than 800,000 federal employees went without a paycheck on Friday, Jan. 11, 2019, and have not received a paycheck since. On Jan. 12, 2019, this government shutdown passed the record for the longest federal shutdown in history. That was 10 days ago. Both sides believe they are holding out for the good of the country, but at this point the shutdown is causing more harm than good. As hundreds of thousands of federal employees are looking at missing another paycheck, it becomes more and more important that political leaders on both sides find a compromise soon. There are many important federal services the government cannot handle well during a shutdown, including food inspections, airport security and the maintenance of federal parks and memorials. Many federal workers are required to continue working despite going without pay because their jobs are deemed too vital for the country to continue without them. President Trump and congressional leaders are both expected to protect the rights of their citizens and provide for their well-being. This government shutdown is having the opposite effect on the lives of thousands of citizens. So, despite their good intentions, both sides must now come together and work toward the common good by finding a compromise quickly and approving a budget. This government shutdown isn’t affecting me at all, but even if it was, I’d rather this happen and we play the waiting game than the government having made a wrong move, but when Americans aren’t getting paid for their work, they are suffering. The December 2018 government shutdown began when the House approved continuing a resolution to fund the U.S. government awaiting a full floor vote in the Senate. In other words, the bill has not been signed to allow proper funds for the following year. Many FDA inspections are currently being put on hold, which could potentially make people sick as restaurants and grocery stores are not getting their proper inspections. For example, the romaine lettuce outbreak of E. coli “appears to be over,” according to CNN and the Center for Disease Control, but could it have been over sooner if the government didn’t shut down? I think the government needs to be turned back on, for lack of a better phrase, but that isn’t going to just happen with a flip of a switch. Back pay must be reimbursed to those employees in some way, as soon as possible. Some employees are not showing up to work as an act of revolt. Unfortunately, for Transportation Security Administration employees, that isn’t the best idea because accurate security safety may drop, and people still need to travel. This is just one example of government employees who are in a tough spot. As of last week, according to politico.com, the FDA plans to restart inspections of facilities that handle food associated with riskier products. I feel that everyone is going to have a different opinion on the government shutdown, and unfortunately it often becomes a presidential issue because President Donald Trump is the person who is refusing to sign the bill. I lack knowledge on this subject because I don’t follow politics that well, but the best thing the public can do is educate themselves on the topic to make their opinions valid to others. As of today, Jan.22, 2019, the U.S. federal government has been shut down for 32 days. The federal government employs about 2 million people excluding soldiers and postal service workers. This creates a panic for average American citizens who do not know exactly what a government shutdown entails. The government shutdown is a product of the divide between Democrats and Republicans. These groups have always been at odds with each other, however the Trump administration has sown the seeds of discord and expanded the divide, exponentially. This particular shutdown is the longest in history. The shutdown was caused by the Democrats’ refusal of Trump’s proposal to pay for a wall on the U.S.-Mexico border. 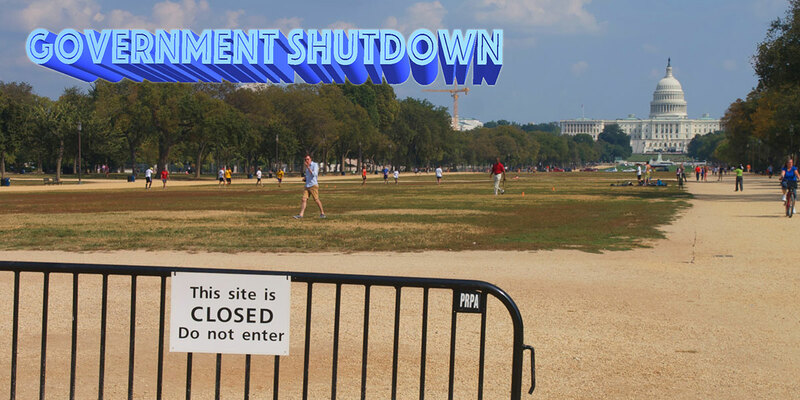 Many people will not immediately feel the effects of the hiatus, but many important government functions, such as housing programs, national parks and the Small Business Association are feeling the brunt of the shutdown. This issue seems to be solvable, and either the Democratic Party or the Republican Party must yield to the other, if not for their sake, for the sake of the American people. Some 800,000-plus government employees are not seeing paychecks, as they are either out of work or working without pay. As a country founded on capitalism this transforms the “American Dream” to the American Nightmare. While border security is important, I believe the Republican should accept the Democratic proposal to allocate $1.3 billion to improve the control of the border but not the $5.7 billion that Trump demands for the wall. It is clear that the wall is just a way for Trump to make good on the promise he made to his supporters during his campaign, but a wall is not the solution to illegal immigration, immigrants will find a way into the country with or without a wall. Society is currently reviewing the decisions that led the Trump administration to the government shutdown, but what are the effects which will continue to stack up as the shutdown persists, much like the country’s leaders that remain unchanged and unable to compromise? According to The New York Times, paychecks, wellness of U.S. citizens and workflow will halt. In my lifetime, politics have not played a large part in my daily thought. Besides my freshman year of high school when I ran for class president, I have not faced the cut-throat nature of human need for recognition. High school debates were nowhere near what we see today, but at the time I believed it may as well have been. The current shutdown in the U.S. government followed indecision regarding the 2019 spending plan. Both Democratic and Republican parties are using their points of view to point the finger at the opposing party. The blocked bill has led to the longest government shutdown in American history. The previous longstanding government shutdown took place in 1995 when President Clinton and the Republican Party held conflicting views over Medicare, education and environment. As the government shutdown persists, there will be more effects for both government workers and American citizens. Government workers have faced no paychecks since Jan. 11, which has led to “sick days” and minimal work being completed in various government offices. The shutdown is revealing vulnerabilities as well as showing citizens that our country’s leaders cannot play nice in order to get things done. The term is most often associated with a begrudged decision where both parties must give a little in order to complete a shared goal. Compromise would be optimal in this situation. Each party could be part of accomplishing what was to be expected in the first place, and each party will come to realize that complete control is not achievable when discord is the only result of stubborn disagreement.